Our system has a variety of uses, apart from garages and carports, as can be seen on the projects page including garden rooms, home offices, extensions, decking and porches. A growing market for the system is the use of our product in Pavilions whether for cricket, football, tennis or bowls. This could also be adapted for village halls, sales centres, shops and the like. The traditional look of our product ends itself well to the favoured look of the pavilion and offers a value for money alternative to masonry options. 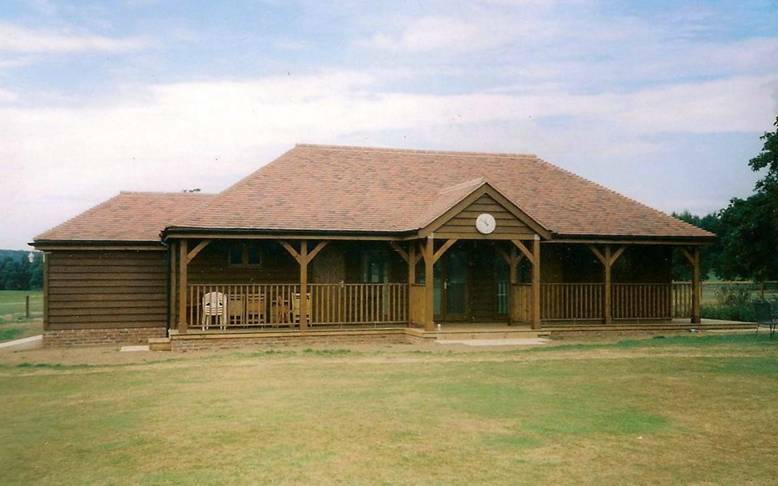 Cricket Pavilion built at Harewood Estate, Near Leeds. Recently finished pavilion near High Wycombe, Buckinghamshire. In order for us to provide you with a quotation for your project we need a copy of your planning drawings or your sketches. Please send to info@boltonbuildings.co.uk, or our postal address for a FREE quote.